Senior dating can seem as intimidating as finding love after 40. You’ve so many added pressures, but it is never too late to find love and real companionship. The wealth of popular dating sites and singles sites, and keeping your self-esteem peaked, will help you to find a new connection. 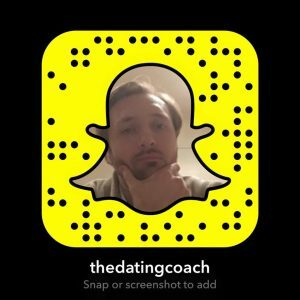 Instead of the usual tips, I’m going to highlight what makes approaching dating in each decade different, and how to manage each. You might be over 50, but you’re not over the hill, and there’s plenty you can do to render yourself an eligible bachelor again. You may be after a different type of woman. You’d maybe prefer to meet older women with whom you can build trust and companionship. There are still some unfaltering fundamentals to approaching women that resonate at any age. You may be over 50, dating once again, but some things don’t change. Women are rethinking their entire body at your age, so there’s as much need to be proactive. Dating for seniors does not mean limiting your options. In fact, between 40 and 70 there are so many complicating factors like family and poor health that you have to cast a wide net. You may also have been through some difficulties, but you have to continue investing in yourself. Keep up your hobbies, reconnect with what you enjoyed when you were younger, get out of the house, and stay active. These feed the enjoyment of life at any age but don’t lose sight of the fun. It’s what makes you unique. If you’re 40 dating again or over 50, you have to still have a lust for life. Make sure your conversations are reactive and be sure to let the stubbornness go. Stand by your views but also learn to listen. You’ll have 20 or 30 years of backstory to get through. You may be following in the wake of failed marriages, family deaths, or even bereaved partners. It’s important not to dwell. Keen listening will help you understand the conversational framework in which you’re operating, but also display your mastery of conversation. That has always been important and remains crucial for single men over 40. They say life begins at 40, but dating at 40 and above is a tough transition. Those who are still single at 40 will be going through an existential reassessment of who they are. It can come with a lot of insecurity and baggage. 40 and single does not mean you failed; it means that circumstance has led you into a field of opportunities again. Dating in your 40s gives you an excellent opportunity to stand out from a sea of self-pitying men. Keep yourself dressing smart and thinking positively. Maybe get a younger relative or female friend to help redesign your wardrobe with what they’d like to see. Get a flattering, realistic haircut and avoid dwelling on the past when you’re on a date. You’ve no doubt got a lot of past behind you if you’re over 40 dating. You’re still statistically only halfway through your life. If you’re looking for another chance at finding love after 40, you have to be in a mental position to do so. Deal with any major personal issues and then relax and enjoy the process of dating. If you approach dates with single women over 40 with positivity, and a smiling demeanor, you’ll have the edge over most of her dates that month. Leave your baggage behind before you head into a world of potential new life partners. It’ll make you attractive, and it’ll be way better for you in the long run. If you’re more advanced in your career, you might consider using an over 40s dating site. There are plenty of sites for professional singles over 40, and as long as you’re researching the dating sites’ reviews, you should be able to find some great matches. An example of this is Our Time Dating (www.ourtime.com,) a handy service that comes with an app. It’s one of the leading specialised mature singles websites, so you can invest a lot of time in crafting a profile and narrowing your searches. There’s a world outside of the Our Time dating site. You just have to search around and find one that you want. Some of the best free online dating sites are eHarmony and plentyoffish, The best online dating sites are the ones for which you pay, as the payment wall acts as a filter for the sorts of timewasters you find on the free services. Make sure you pick a site that fits you, as this will determine the type of woman you meet. At 50, a woman wants to know you have ownership of something. If you’re over 50 dating, you should be in a position to save funds for your future. You should be at the apex of your professional career. You should have something that you’re proud of before dating over 50. Make sure you don’t lose your posture, stretch everyday to fend off the arched back that can come with progressing years, and dress in a relaxed but smart fashion. Dating for seniors is not just about looking back on a life gone by, but forward to a fruitful relationship. You need to show her that she has something to look forward to. Go and see shows, or have dinner. Don’t forget to go on actual dates. Miss a few bedtimes. Break your routine for her. Go on holiday every few months, even if it’s within the country. Show her that you’ve been working most of your life for a reason, and make her feel like the reason. Learn to filter out the noise of mature adult life and look forward to spending time together. Search for good dating sites and find the best dating site for you. Don’t rely on date sites though. Be active and get about. Go to museums, walk in the park, maybe see the reunion of a band you used to love. You’ll have instant common ground with any women you talk to, and a great icebreaker. When you’re out in the field or on senior dating sites, humour is vital. And not just firing off dad-puns left right and centre – it comes off as a sign of insecurity. Singles over 50 seek companionship, and the ability to joke around and riff off each other plays a central role in that. Stay reactive in your humour, and try not to go on frustrating, long-winded and self-deprecating joke reels. React to what she’s saying. If you’re online dating over 50, make sure your first date is an occasion at which you can talk to others, such as going to see a show and cracking people up in the foyer. At 50, it’s important to show that your mind is still sharp and that you still have social currency. Showing you can make people laugh will allow you to take positive steps. Forming a connection before a romance can be significant at 60, and as with any decade, there are plenty of specialist dating sites for over 50 and over 60 years old. Here are a few of the best dating sites for men over 60. Good dating sites aren’t hard to come by, but if you aren’t tech savvy by 60, then it helps to have a head start. UK Mature Dating – ukmaturedating.com – Great if you’re just starting out, this is simple dating for seniors. One of the better free dating sites over 50 year olds can use. My Single Friend – mysinglefriend.com – Your friends set you up a profile and find suitable people for you. This is one of the most popular dating sites. Over 50s – over50s.co.uk – One of the more standard over 50 dating sites, but with a great advice and tips section. You always need to be thinking beyond the top dating sites, and if you find that the best dating website for you is a paid one, always have a backup. At most other stages in life, you need to ration your time to create interest. But if you plan to meet older women dating, you’ve also got a lot of ground to cover. If you’re planning to retire soon, you’ve got to know you’re compatible and comfortable for long stretches. Talk a lot. Start doing new, exciting things together. Explore old hobbies and fulfil old trips you wanted to go on or films you never saw. If you can’t hang out for long stretches, you’re wasting valuable time. You might be comfortable with your fading libido (men do adapt), but if you don’t make an effort sexually, you won’t be able to support a relationship. Go the extra mile. Set up romantic dinners and walks and amp the chivalry up to a million. Don’t fall into a rut or she will get bored and leave for someone the same age with a bit more spark. If you want more bespoke advice on getting success with women at any age the click here.